THE Ministry of Public Health (MoPH) announced the development of Qatar’s first cross-organisational cancer awareness calendar through a unique collaboration and partnership between some of the country’s leading healthcare organisations who work towards the prevention and treatment of cancer. The collaboration includes the MoPH, Hamad Medical Corporation (HMC), Primary Health Care Corporation (PHCC) and Qatar Cancer Society (QCS).The calendar reflects the collaborative efforts of health organisations towards achieving the vision of the National Cancer Framework 2017-2022 and provides an opportunity for uniting efforts of stakeholders within Qatar to raise awareness of cancer. Mariam al Noaimi, general manager of Qatar Cancer Society welcomed all avenues of cooperation with health organisations in Qatar, noting that cancer control needs constant collaboration.”This calendar reflects the real cooperation between health institutions that work together in cancer awareness,” she said. 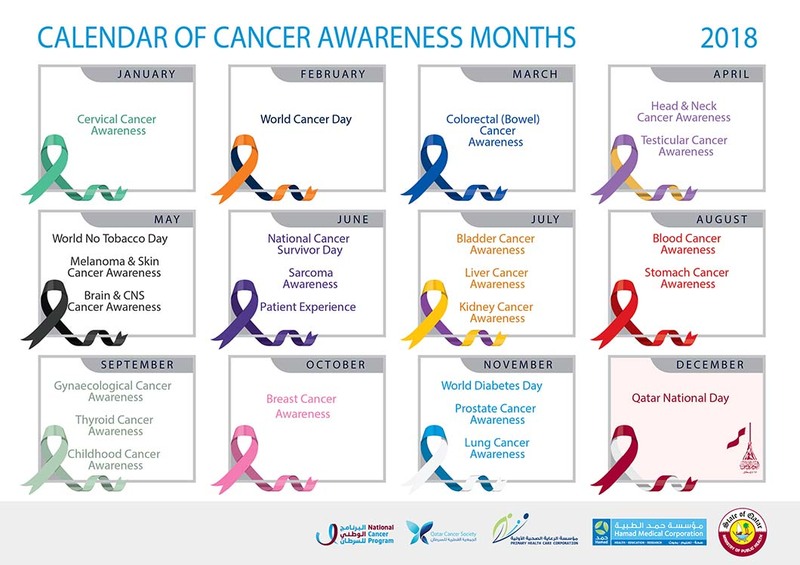 The calendar identifies dedicated cancer awareness months based on evidence-based incidence data published by the Qatar National Cancer Registry. It also recognises international cancer awareness days. This annual calendar will also highlight National Cancer Framework initiatives, including cancer awareness ambassadors and the experiences of patients living with cancer and beyond cancer (i.e. cancer survivors).